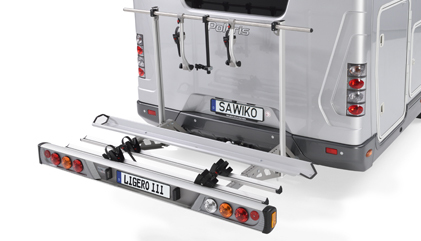 Find out everything about towbars and rear carrier systems here. For cyclists, e-bikers, racers, off-roaders, scooters and motorcyclists. Excursions, shopping trips, leisurely rides: two wheels provide extra mobility and pleasure on holiday. At best, you simply take everything with you. 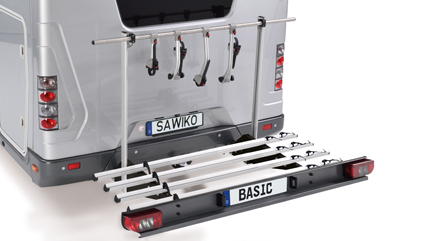 It's even simpler with innovative and award-winning rear rack systems from the prestigious SAWIKO brand. 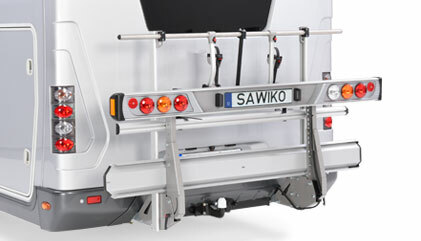 Every single SAWIKO load carrier solution sets the standard when it comes to carrying bicycles or scooters on your motorhome. 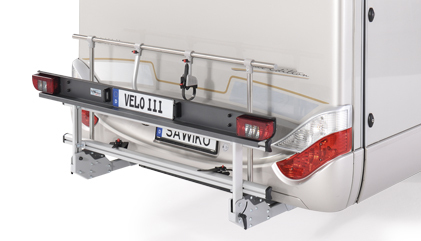 The rear racks are universal; only the mounting elements are specially manufactured for each vehicle and body type and require replacement when changing vehicles. 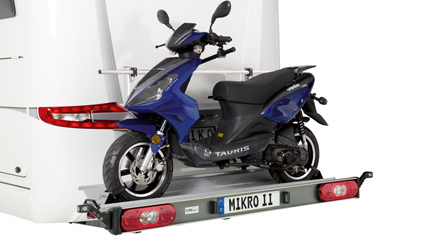 The foldable, compact and variable motorcycle or scooter carrier. Extremely lightweight bicycle carrier. Perfect for e-bikes. The entry-level model the best price alternative.